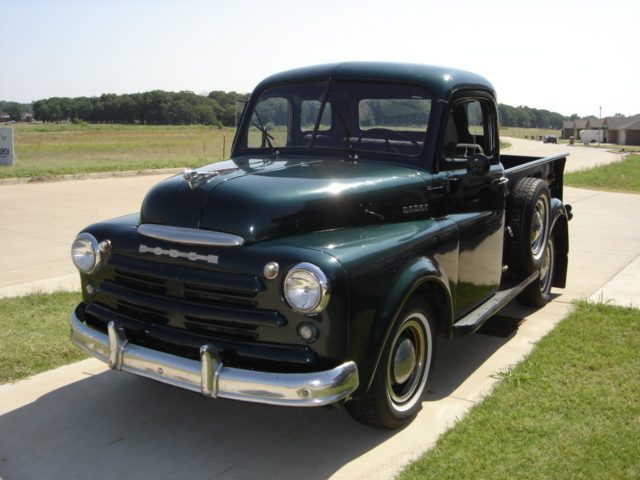 This 1950 Dodge Pickup has been in the Worthington family since the mid 1950’s. 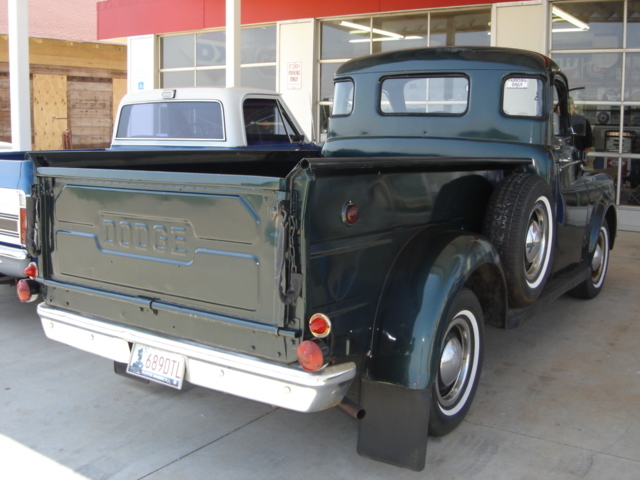 Maurice Worthington purchased the Dodge in the mid 1950’s for use on his farm near Blackwell, Oklahoma. The old Dodge has never left the family since! Up until the late eighties the old Dodge was used only on the farm during harvest time and the rest of the time was kept in a shed. 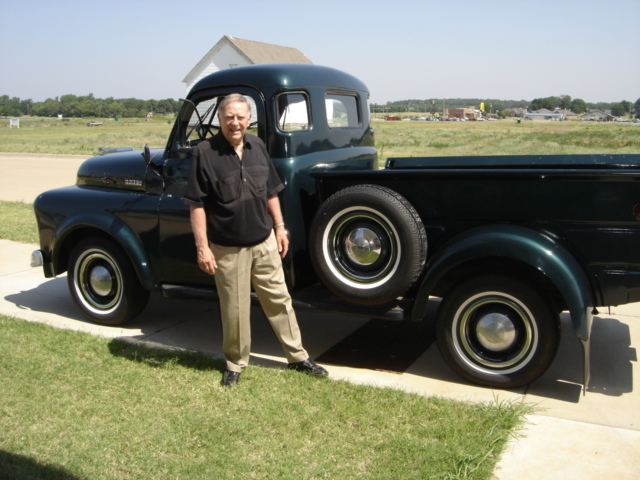 Donald Worthington took possession of the truck when his father died in the late 80’s. 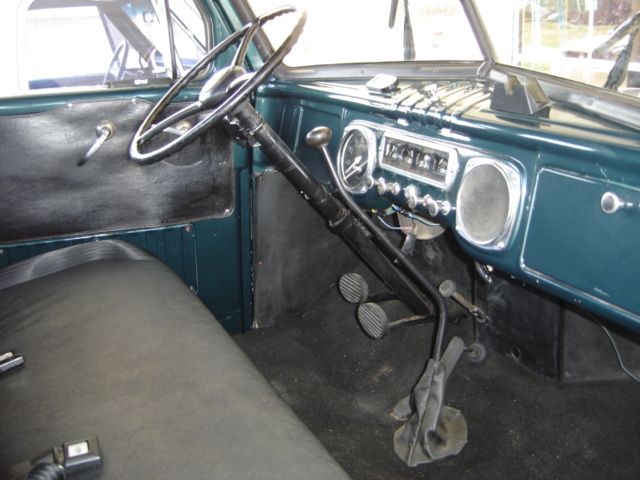 The only modifications to the truck, by Maurice, was the addition of turn signals and for many years a set of grain rails for the annual harvest. the tailgate and had the interior refreshed in the early 90’s. He added electric wipers and seat belts at that time. 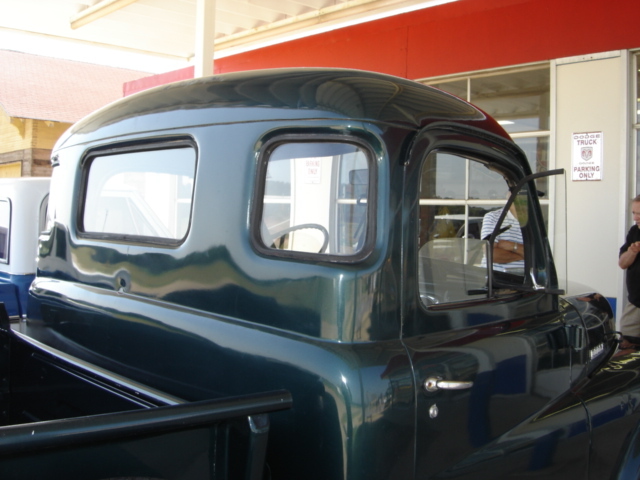 The glass in this truck is in very good condition as you can see! Also, note the working wing windows. 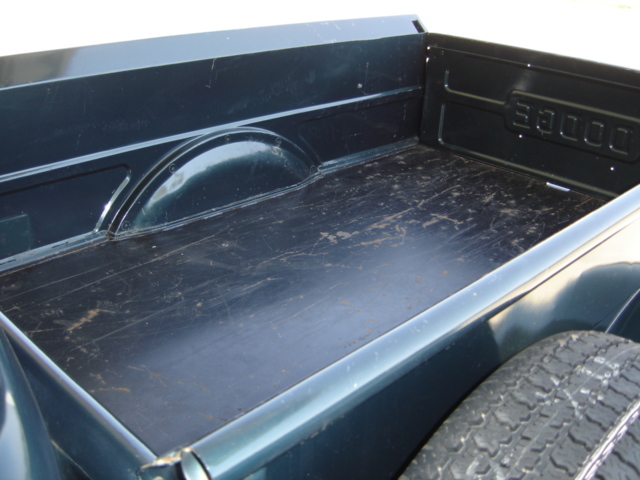 Donald replace the old wood bed with metal plate at the time he had the truck painted. 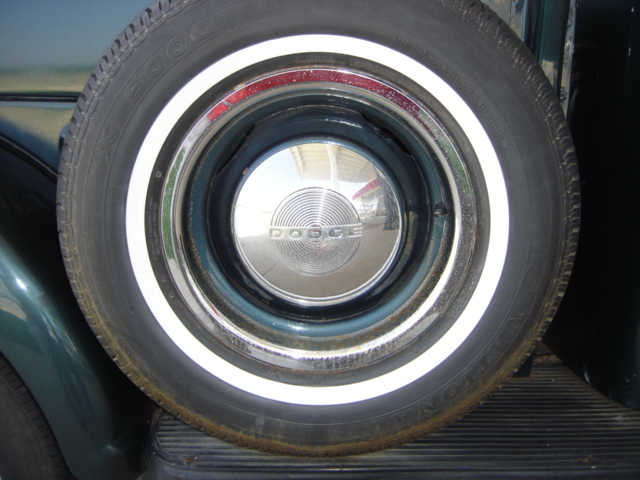 As you can see the old Dodge has all the original parts and is in excellent driving condition. This truck has twin spare tires mounted just behind the cab on both sides. 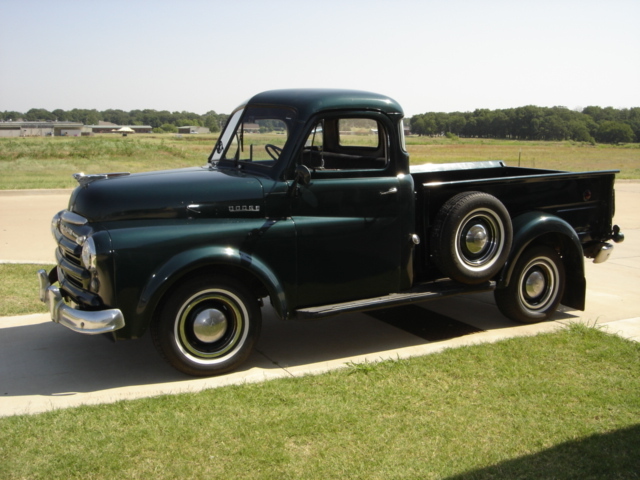 This 1950 Dodge has a 218 cubic inch L-inline six with a four speed transmission with first gear being compound. Note it has the accessory changeable oil filter on the engine. The 85 horsepower inline six runs quiet and smooth! The interior is in very good shape and all the original factory gages still work with a little over 93,000 showing on the odometer. 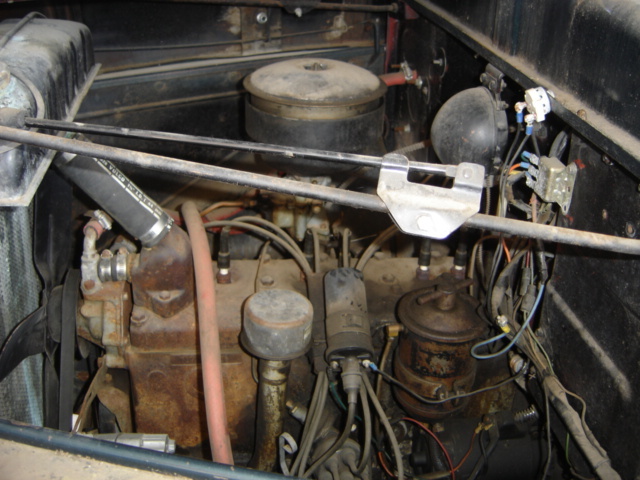 This truck came with factory speedometer, odometer, oil pressure, engine temperature, and fuel gages. All are in working order. 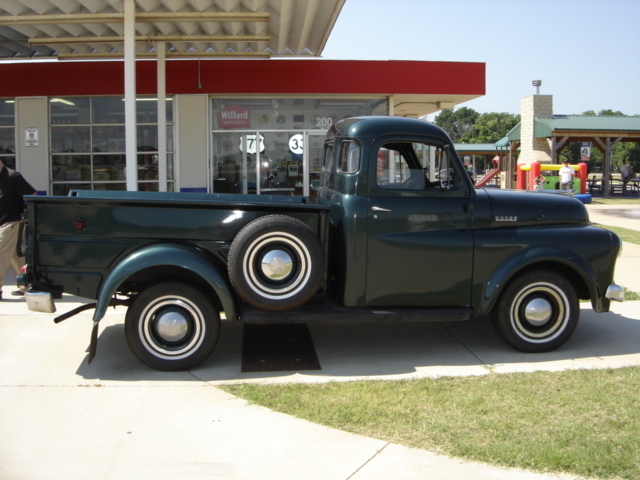 If you are looking for a great driver or a all together project truck for complete restoration this is the one for you! Every part is on this truck and in very good shape! Remember guys, there is something women like about a pickup man! Donald Worthington can be contacted in Stillwater by cell phone at 405 612 6423 or home phone at 405-377-7717. Asking $8500 or make offer.